This is a list of some of the places I’ve been that evoke strong memories. Some places are more exotic that others! The rule: one memory, one place. 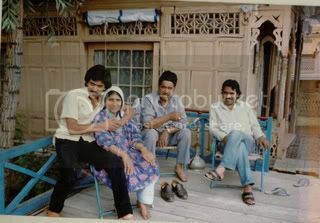 There are some places that I have hundreds of vivid memories of, but I’ve limited myself to one memory. Ephesus, Turkey: My guide Rosa who was so passionate about the ruins that she made me feel as if I was walking down the marble streets with Cleopatra herself. Twilight Zone all at one time. 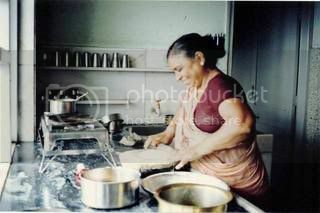 Mumbai, India: Mrs. Shah’s afternoon chai. 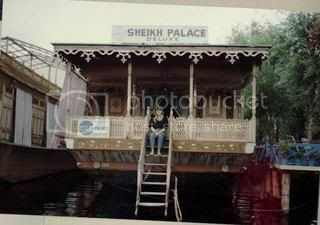 Srinagar, India: The Sheikh Palace houseboat on Lake Dal, and the family who ran it. I went back three times. 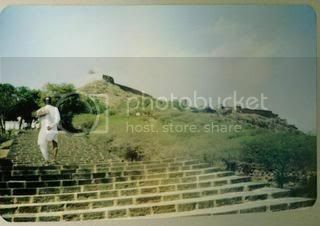 Palitana, India: 5000 steps (3.5 km) up to the Jain temple. No Stairmaster necessary. 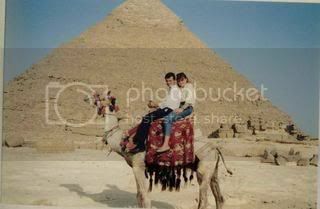 Giza, Egypt: Riding a camel with Ibrahim around the pyramids at sunrise. We were the only ones there. Balboa Park, San Diego: Meeting Prince Andrew. Madrid, Spain: Running into some art students at the Museo del Prado and getting an amazing tour of the museum from them. Arctic Circle, Finland: Cross country skiing at 2am and seeing the Aurora Borealis (Northern Lights). Waikiki, Hawaii: Scattering my mom’s ashes off the back of a sailboat. Rome, Italy: Having a lunch of spaghetti, bread and wine in the back room with the baggage handlers at the train station. Civitavecchia, Italy: The pizza place that cut pizza with large scissors and sold the pizza by weight. 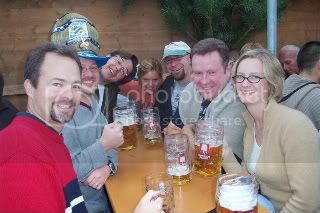 Munich, Germany: Oktoberfest with my work colleagues, 2002. Seward, Alaska: Waking up to see a bald eagle perched on a post outside my window. Sunnyvale, CA: The weird neighbor who was rumored to shoot rock salt at kids with an air rifle to keep them off his property. Saratoga, CA: The Harleigh House that I shared with three friends. Aschaffenburg , Germany: Andreas the Lear Jet Pilot. Burbank, CA: PSA (airline) always stopped there on the way to San Diego from San Jose every time I went to visit my dad when I was a kid. Del Mar, CA: Meeting Desi Arnaz at the race track. Carslbad, CA: Being in a really horrible place emotionally but running a great marathon. NY, NY: Election night in Times Square, 2009. Durham, NH: UNH dorm, getting written up on my very first day! San Francisco, CA: My dear dear friend Michael Deeb, and all of the meals we had together at his restaurants. May he rest in peace. There will be more entries, and I will add pictures. If you could pick one memory per place, what would some of them be? It’s difficult to pick just one!